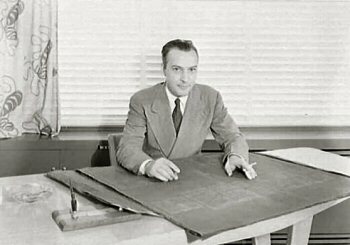 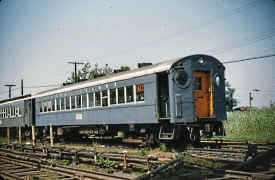 The Tichy herald was applied only to the passenger diesels, not the passenger equipment. 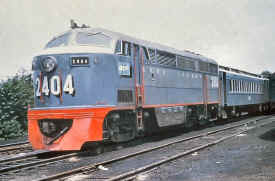 (November 1949) This herald consisted of a white map of Long Island on a light blue rectangle, offset with a black rectangle giving a shadow effect. 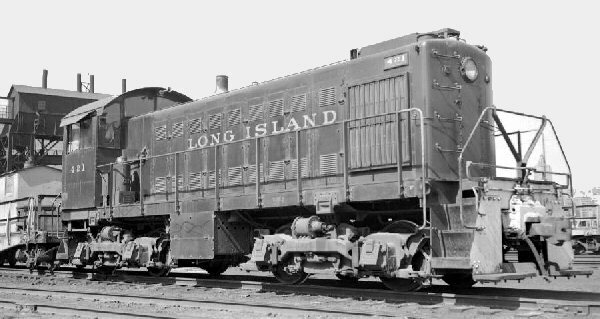 Printed over the map was a large black “plus sign” with the letters L, I, R, R in each corner of the “plus”; these represented the four corners of Long Island served by the Railroad. 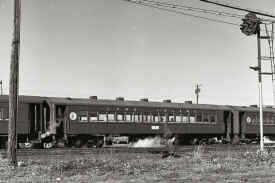 The first delivery (12/1948?-2-3/1949) of RS-1's came in black. 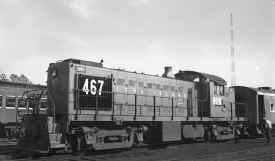 (#461-465) That scheme didn't last very long and were repainted in the Tichy livery (In November 1949 Alco RS-1 #465 became the first unit with the new Tichy herald along with the Tichy paint scheme. 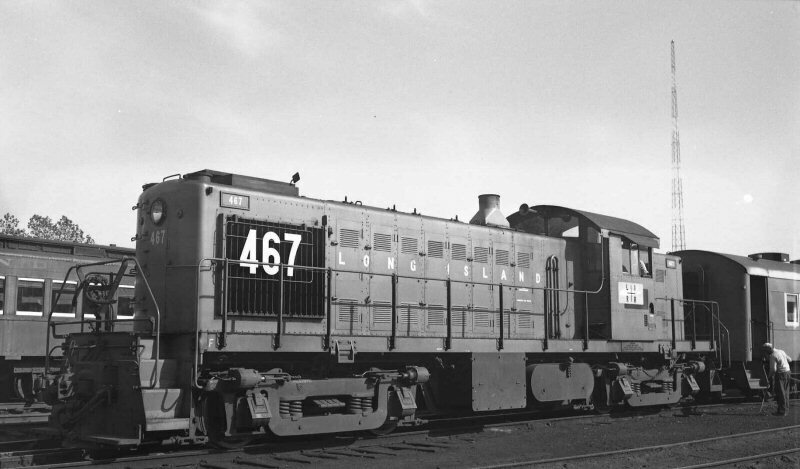 The remaining RS1 units (#461-464) were repainted up until 11/1/52. RS1 units repainted up until 11/1/52. 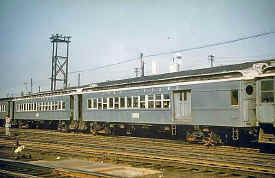 FM C-liners arrived in this scheme in Jan. 1950. 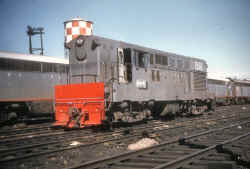 On the RS-1s, “the engine number has been repeated in large silhouetted aluminum numerals mounted in a blue frame on either side of the head end,” and had red pilots and black cab roof. 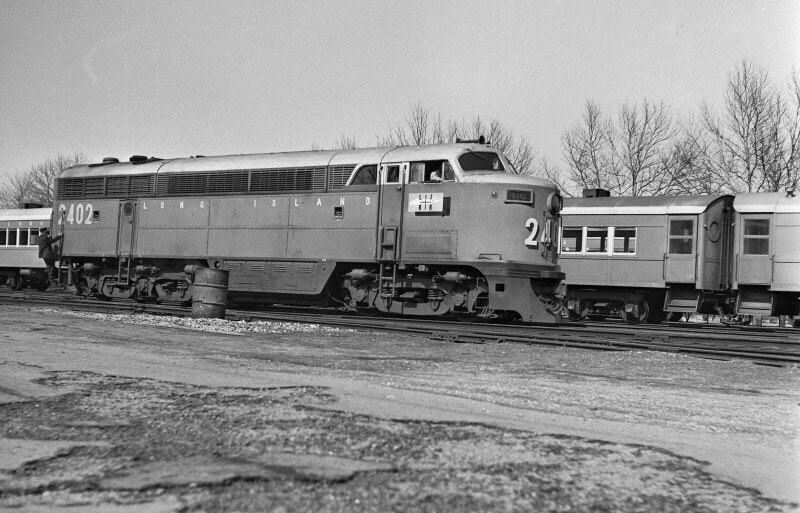 The C-Liners differed slightly, with the engine number appearing on the nose in a “battleship” style with a shadow effect. 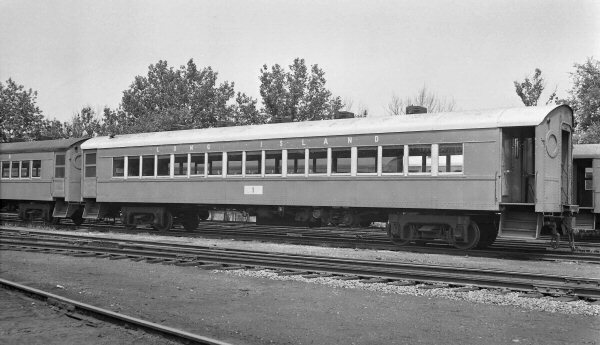 Also, the roof was an aluminum color like on the coaches. 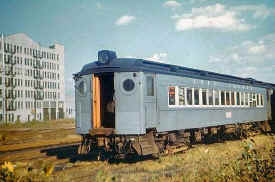 The H16-44s had slate gray applied on the body and roof, with red pilots. 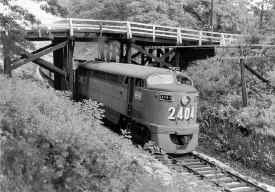 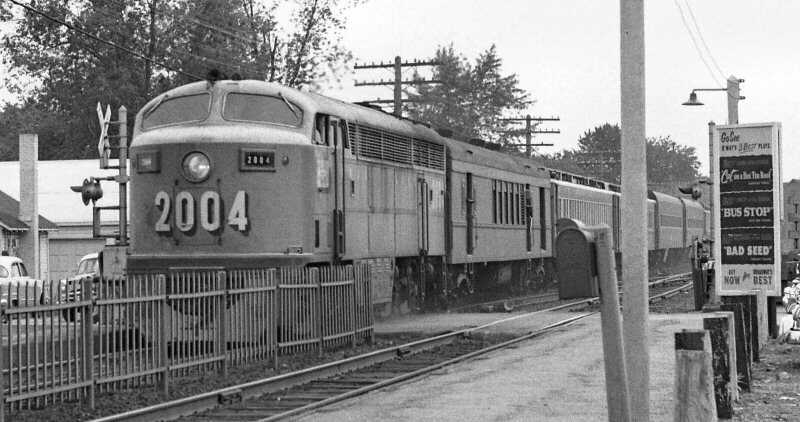 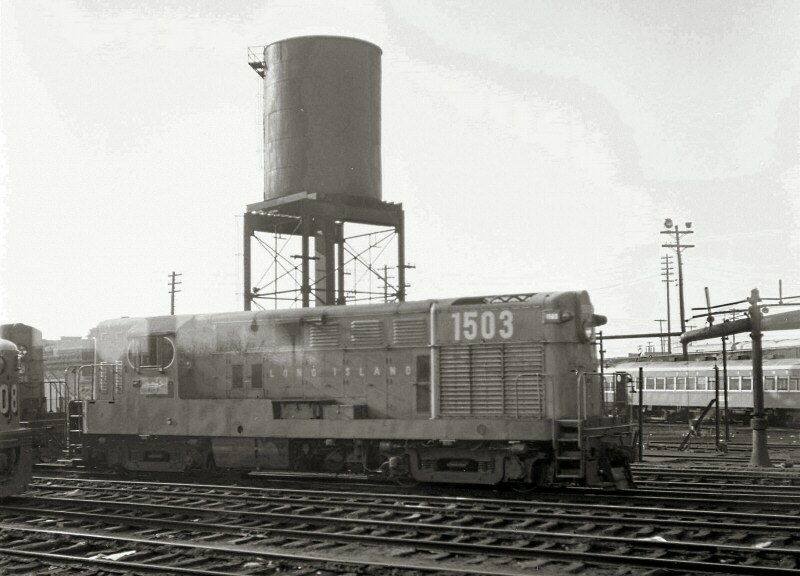 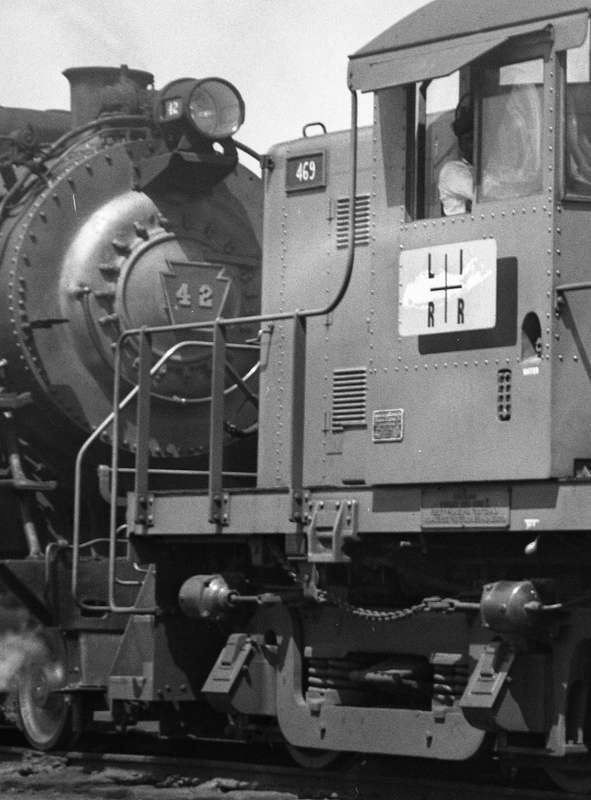 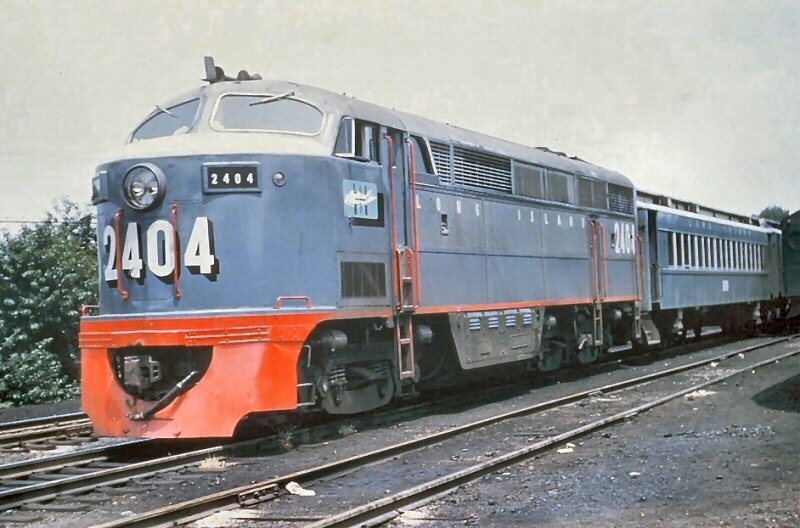 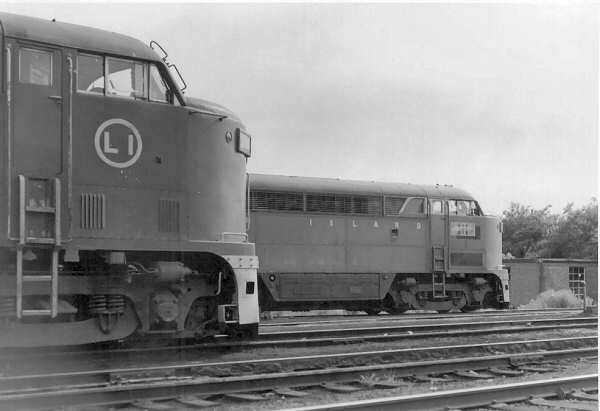 The GE 44 tonner, #400, also had the Tichy colors but with a modified herald. 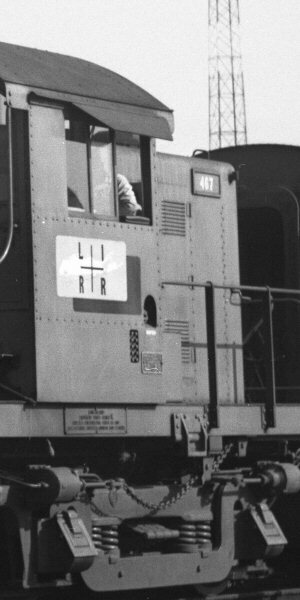 This was a “plus sign” with the horizontal line in red and the vertical line and LIRR letters in white. 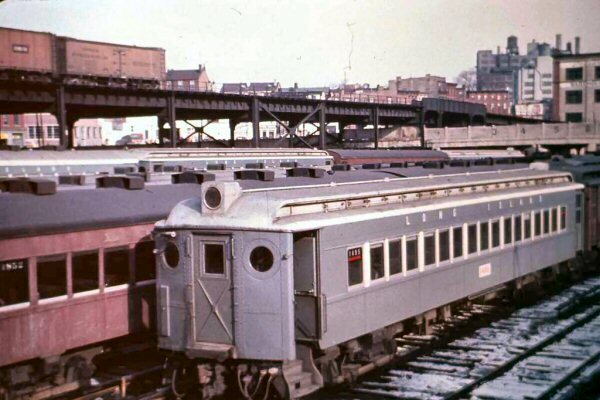 There was no map and blue and black rectangles; definitely a one-of-a-kind herald. 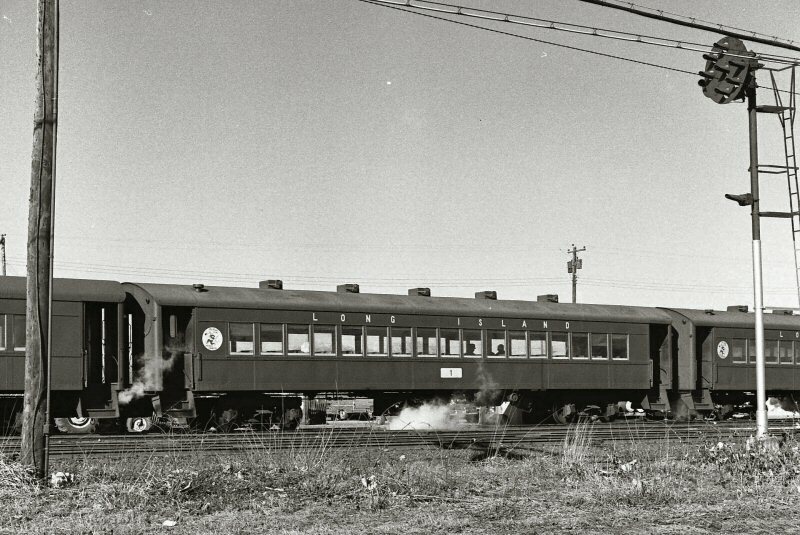 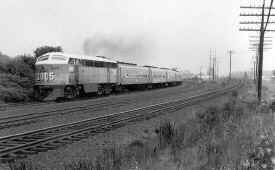 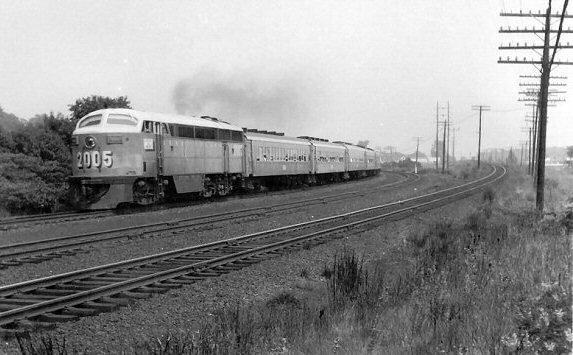 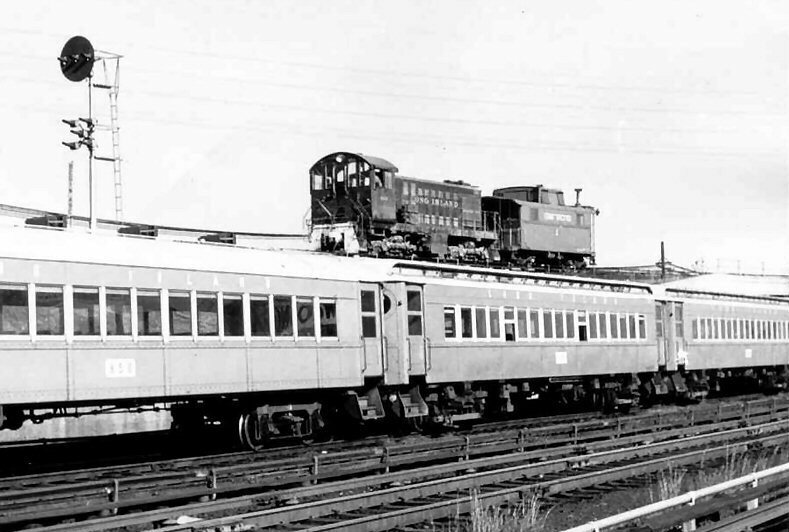 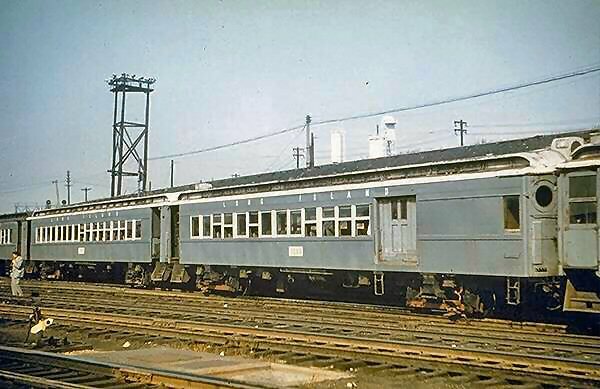 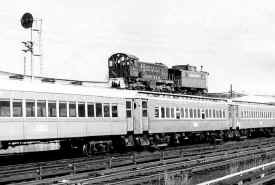 Note 1: The first press run of new air conditioned Pullman Standard P72 passenger cars arrived on the LIRR 05/23/55. Destined for Greenport, in the "Goodfellow" dark grey color scheme, it's possible that some of the C-liners still in Tichy scheme could have been pulling some of these new cars but it would not have been for very long. 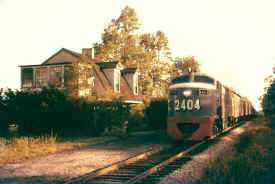 This was a Jules Krzenski photo shot in the West Yard. 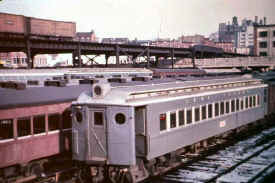 While 1957 showed locomotives in a transition, the passenger cars had already undergone their repainting, primarily due to the remodeling (and subsequent renumbering) that began in December, 1954. 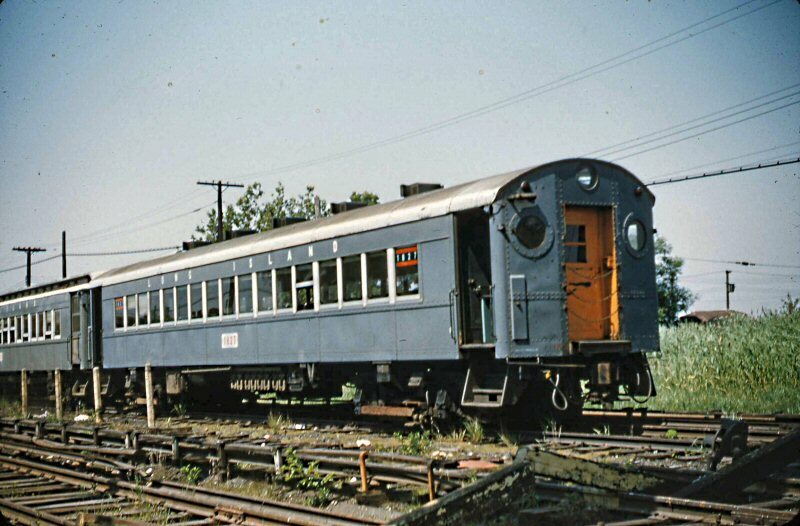 Tichy MP54 Combine Morris Park west of "DUNTON"